Hello. I would like to re-post on my WordPress blog but you don,t have the button. Can you add it please? Thks. Click on the last button, The green one. With the exception of the very last comment in this article, all of your commenters are moronic sheep. I pray that the people wake up SOON or this planet & all who inhabit it are doomed !!!!! 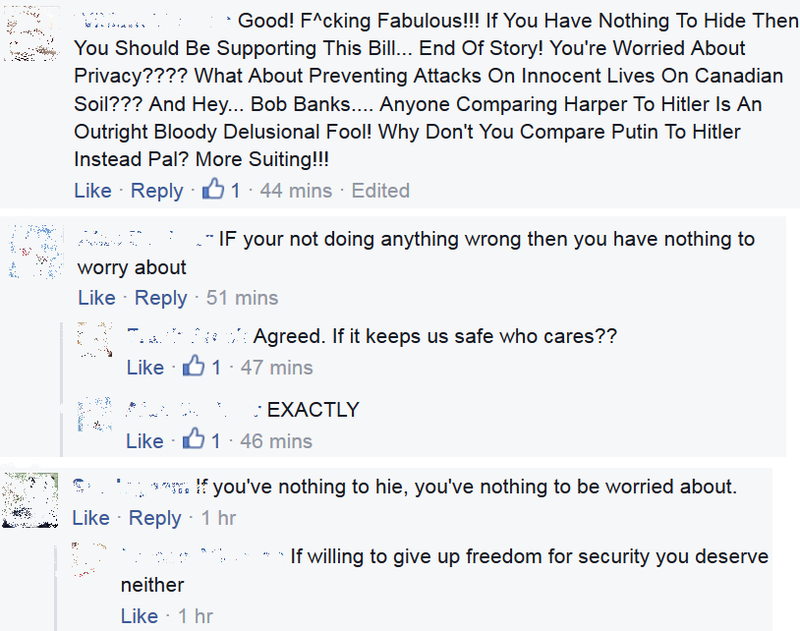 The comments in the post are screen grabs from a Facebook posting on the page of CTV. It is linked.